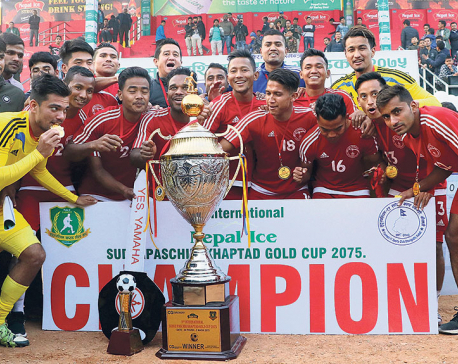 DHANGADHI, Jan 17: Three Star Club has advanced into the final of the ongoing International Invitational Khaptad Gold Cup football tournament with a 2-0 win over Mechi Netralaya Kakarbhitta Football Training Center in Dhangadhi on Wednesday. In a semifinal match where the first half ended goalless, Three Star won the match despite Kakarbhitta goalkeeper keeping out most of the winning team’s shots. Three Star got many chances in front of the goal, but Kakarbhitta keeper Deep Karki saved them. Sunil Bal hit a corner looking for Ranjan Bista, whose shot fell to Doumbia and his shot was saved by the keeper in the 14th minute. Likewise, Fode Fofana’s shot from inside the penalty box in the 21st minute went wide off the target. 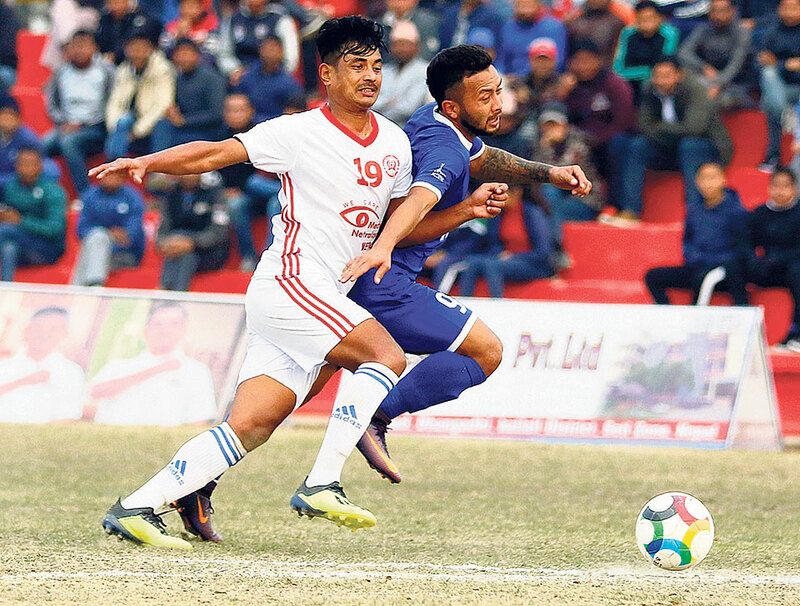 Three Star got chances in the second half as well, as Rupesh KC’s volley was brilliantly saved by Karki in the 53rd minute. Kakarbhitta got a chance too, as Angel Gurung’s shot in the second half went over the bar. 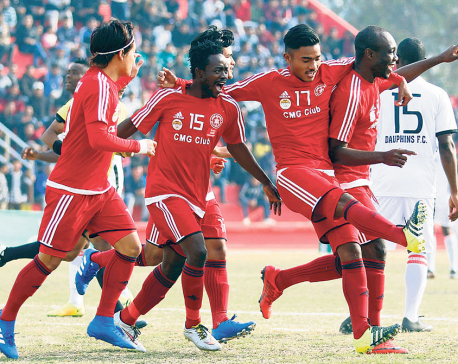 Three Star finally scored the game’s first goal as Bista provided a cross to Budhha Chemjong, and he gave a headed pass to KC. An unmarked KC hit a shot from six yards out to score for the A-Division side. Three Star added a goal again through Bal as his free-kick from just outside the box scored in the 80th minute. Bal was named the man of the match for his performance and he was rewarded with Rs 10,000. Three Star coach Ujjwal Manandhar said that his team was eager to start the mofussil tournaments on a happy note after the league shock. Three Star will now take on the winner of Sankata Club and the departmental team Nepal Police Club in the final. The second semifinal is scheduled to be played on Thursday. The final will take place on Saturday.